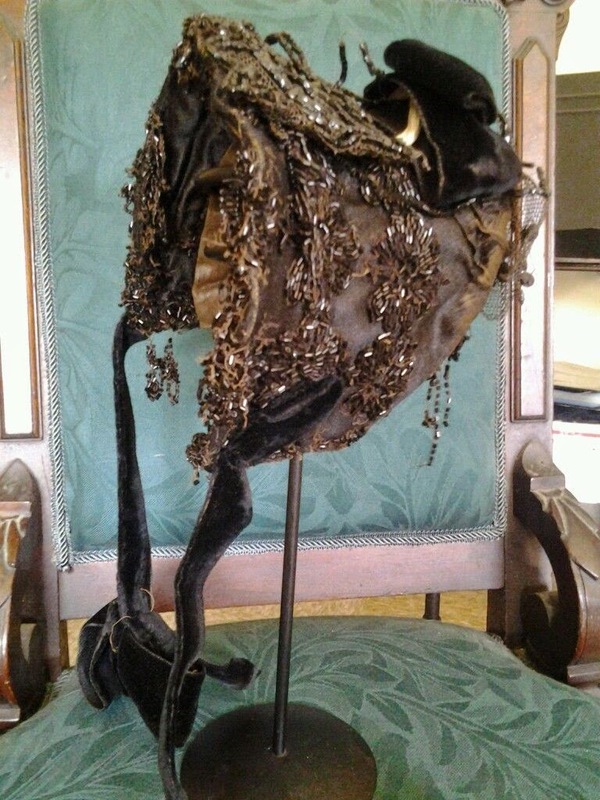 From the seller:Victorian French jet beaded small mourning bonnet as is. 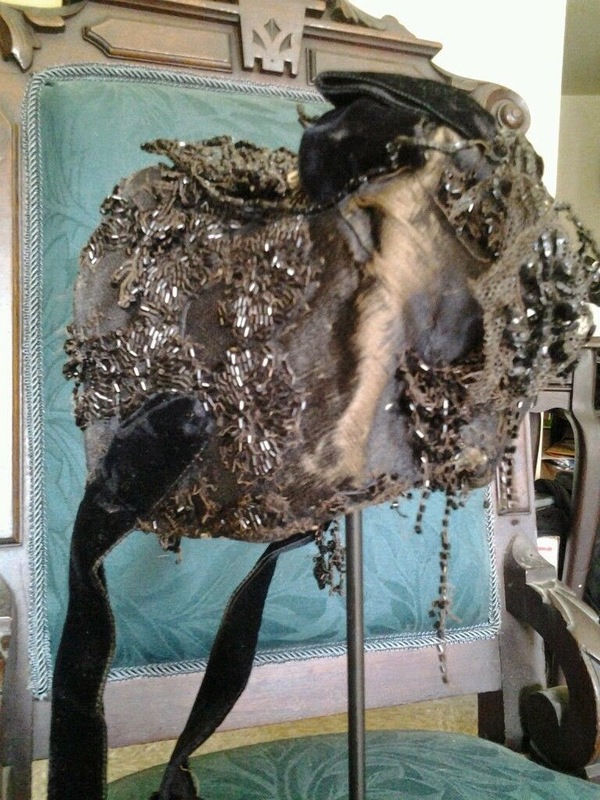 It is missing beadwork, has hanging beads/bead work, color fading and has some fabric issues. Could poss be re-dyed by the looks of it. 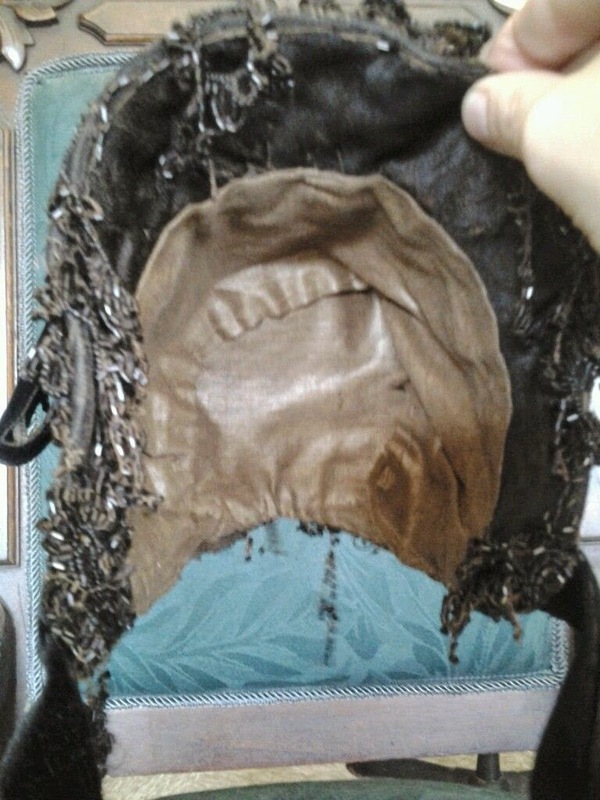 The lining is in very good condition as well as the shape/hats form- so it is still able to be placed on the head. The velvet ribbon tie is missing its connector. You could use anything to replace it (even a small piece of elastic). There is some weight to this piece still. 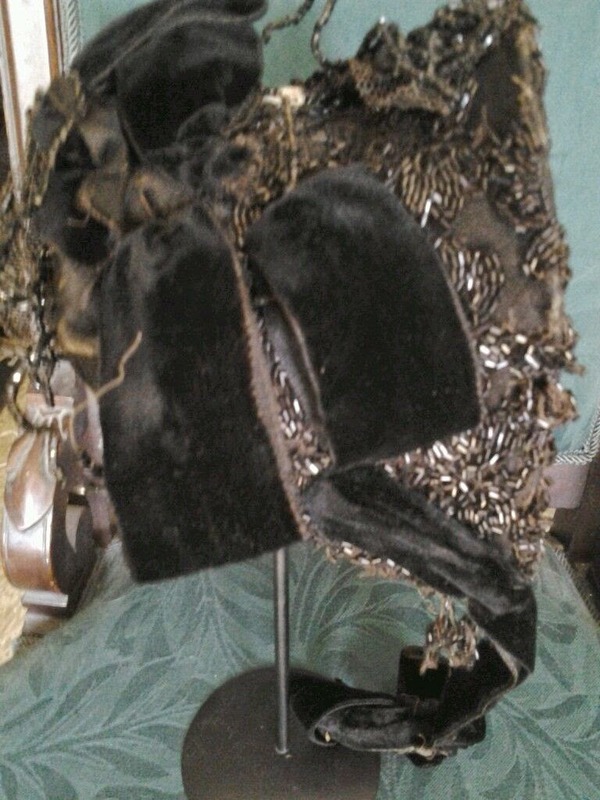 Still a lovely little hat and still very pretty in its condition. Please ask if questions. 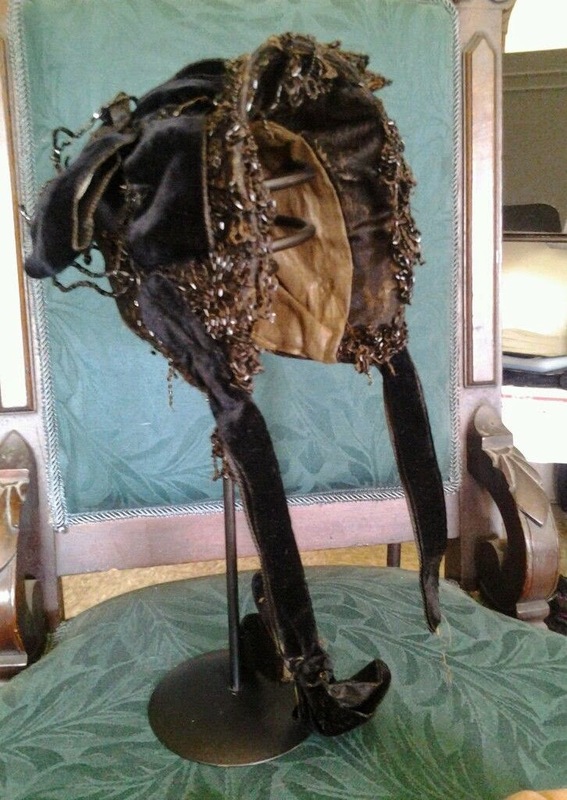 Given the jet and other trimmings, this is a half mourning bonnet. The shape and even trim placement looks very similar to this one at the Met from 1865. Meaning, this is probably okay for any American Civil War re-enactors. Natural Form Wrapper Blue Stripes!